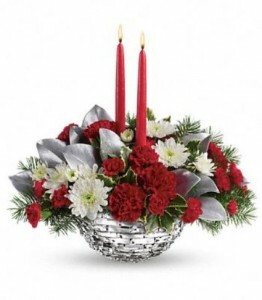 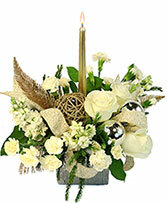 Light up the holiday with this gorgeous centerpiece. 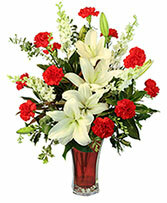 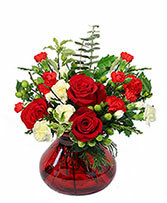 Red carnations and miniature carnations are presented in our beautiful sparkling hand-polished glass bowl. 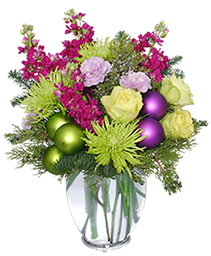 The Holiday Traditions™ Bouquet speaks to the time-honored customs and cherished traditions of the Christmas season with its gorgeous design. 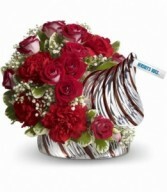 Nothing's sweeter than this surprise delivery! 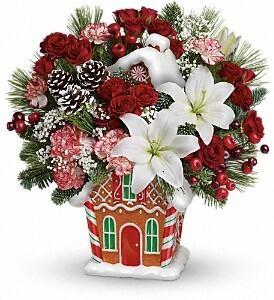 Everyone loves this quaint Christmas cookie jar, filled with a festive abundance of red roses, white lilies and peppermint carnations! 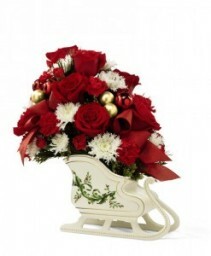 A gift they'll treasure this Christmas and every winter to come! 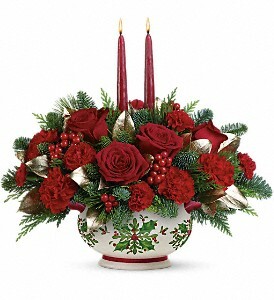 Hand-delivered in a lovely ceramic bowl adorned with a classic holly motif, this lush centerpiece of red roses and festive winter greens captures the warm glow of two elegant taper candles. 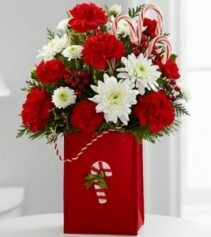 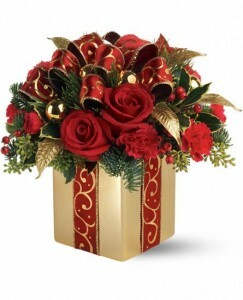 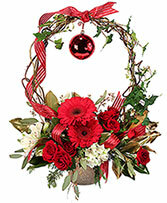 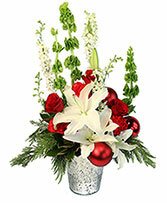 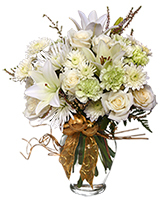 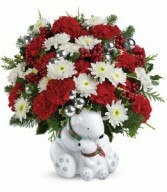 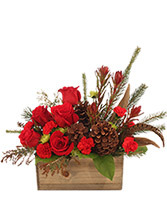 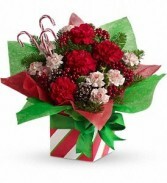 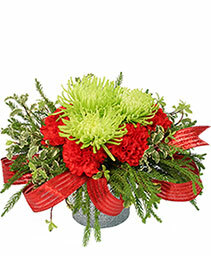 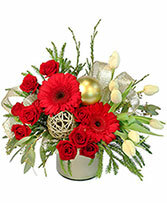 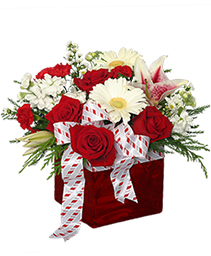 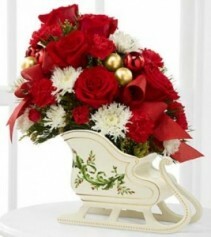 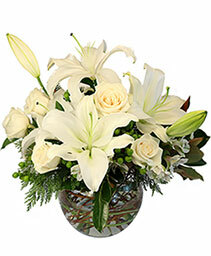 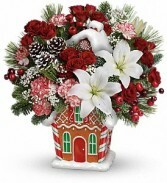 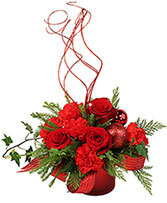 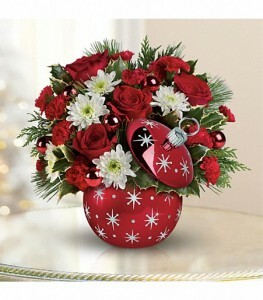 Bouquet speaks to the time-honored customs and cherished traditions of the Christmas season with its gorgeous design. 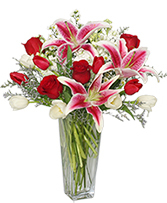 Giving it the holiday charm that will captivate your special recipient.